The IAEA says Tehran has now installed more than 1,000 advanced centrifuges at its Natanz enrichment plant. A new report from the United Nations’ nuclear agency finds that Iran has further boosted its capacity for uranium enrichment, reports the BBC. The International Atomic Energy Agency (IAEA) says Tehran has now installed more than 1,000 advanced centrifuges at its Natanz enrichment plant, according to Wednesday’s report. The report comes as the IAEA says it will resume talks with Iran on September 27, the first such negotiations since President Hassan Rouhani was elected. The IAEA's quarterly report says there has not been much growth in the production of the most sensitive nuclear material - uranium enriched to 20%. At the same it says Iran has installed 1,008 advanced IR2m centrifuges at its Natanz plant, compared with almost 700 in May. It also says the Islamic Republic has begun making nuclear fuel for its planned Arak heavy-water research reactor, although it has postponed the commissioning of the reactor beyond the planned first quarter of 2014. The report again raised concerns about the Parchin site, a suspected nuclear weapons development facility that investigators have been unable to fully inspect. 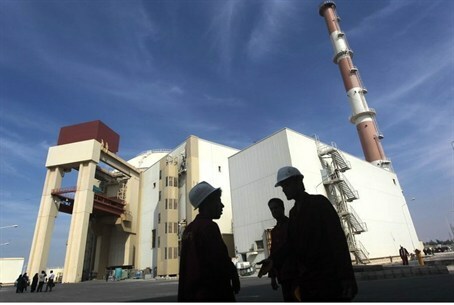 A U.S. institute tracking Iran's nuclear program said last week that recent satellite images show further major alterations of the Parchin site, where the IAEA suspects Iran made efforts, mostly in the past but possibly ongoing, to develop nuclear weapons. The IAEA’s report from Wednesday also says the agency has still not got answers on outstanding issues about Iran's nuclear program, "including those related to possible military dimensions." Although many in Iran have pinned their hopes on Hassan Rouhani to improve the political atmosphere, it is generally understood he cannot change Iran's nuclear course without a green light from hardline Supreme Leader Ayatollah Ali Khamenei.